Got tired of the Jeep being so hot all of the time, so I finally went and got the windows tinted. The rears had the privacy glass from the factory, but I went ahead and put 35% on the driver passenger (legal limit in NC) and 5% on everything else. Will post some pictures tomorrow once I take them. I noticed that the Jeep wasn't coming to a stop as quick as I would like it to be so I decided that I wasn't going to take a chance. One car accident had already changed my life forever so I'm not going to risk it. 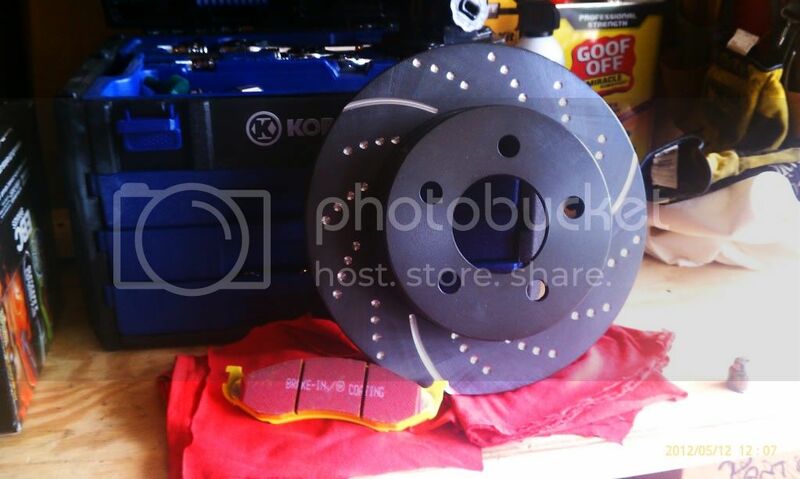 soooooooo.... EBC pads and rotors will be here in 2 days! I don't remember, are you using the stainless steel brake lines? How old are your calipers? I do have stainless brake lines. As far as calipers, I'm assuming they're the original. I didn't change them when I bought the Jeep last year. I noticed a significant change when I went to stainless steel brake lines and new calipers. I had about 174k on them at the time. I also changed rotor and pads, but I had done that before and not noticed an improvement. Well everything got here and this is what I ended up with! The install went pretty smoothly and only took a couple of hours (for someone who had never done it). The only issue was that a little bit of brake fluid came out of the reservoir when the caliper pistons were pressed back into place. So far, the Jeep does seem to stop better than before. Even when slightly pressed, there is a noticeable grip to slow down compared to it feeling as if you were just driving up an incline. Thanks guys! I think either flat flares or some kind of front bumper/winch combo will be next. I'm leaning more towards the bumper and winch. I'd like to get a combination of this style bumper with a detours backbone worked in. (I like minimalistic). I think flat flare would look really good on there. Winch bumper and winch is a very useful combo though.
. /__| _ | _\ / / \,____. I've started to get a growling sound from my front right brakes. It usually happens when I'm slowing down to make a turn. So I'm thinking that the pads are getting stuck against the knuckle on either the top or bottom since the sound goes away when you press the pedal again. If there are any other possibilities, I'd be happy to hear em. I picked up some CRC Caliper grease to fix it. I just want that Commanche!! And even more so if it had a Detours backbone attached!! 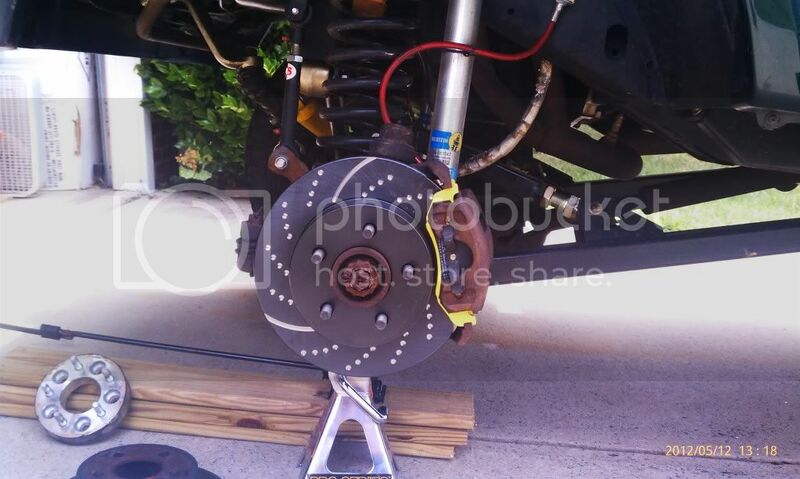 As far as the brakes go, have you checked the condition of the discs and the pads?? Or at least pull the brakes on that side to make sure that it is all in good condition?? I would think they would be fine. I just put on new pads and rotors 2 weeks ago, and followed the break-in instructions.